I went, but only fished for four hours without a bite. My buddy had two bites total but no fish in the boat. It was cold and windy, and he wasn't having the best time so he wanted to quit. We did camp up there, though. It's a nice place to camp, set up as most state parks are. There was no host on site, and the host's phone numbers are listed on the campground directions board. There's no service at all around there, though, so good luck calling anybody if you need to. jdmidwest, I've been there one too many times with getting centered up on a submerged tree top. I'm hoping with all this rain we just had that the water will be high enough to not worry about that. At least the water being so clear may help me with spotting these. I'll definitely be trying jerkbaits and jigs, though, and probably some swimbaits. Thanks for the help guys! Barring any flash flooding that may occur over the next couple weeks, I'm planning on taking my kayak out to Council Bluff Lake for a few days. Has anyone here had any luck bass fishing this place in early spring? From the research I've done, the water is generally clear and the fish are pretty much always deep. There's not a lot of information out on the internet about this lake, so I'm hoping you guys can help point me in the right direction. I used to row this lake when I was with SLU's crew team my freshman year of college. It's crazy how often we'd see silvers jumping around and into our boats while we were paddling around. I have fished the largest, Monsanto, and the smallest, Pim, both from the bank and from a kayak. Targeting bass, I have had luck on chatter baits, small swimbaits, and frogs when I fished there this past summer. The lakes themselves are pretty quiet, with occasional fellow bank anglers, but oftentimes when I go out there I am pretty much alone. I have my best luck close to shore structure and stumps. Of the two, I have had better luck on Monsanto, but it is a much larger lake and takes a good few hours to make your way all around it fishing from a kayak. 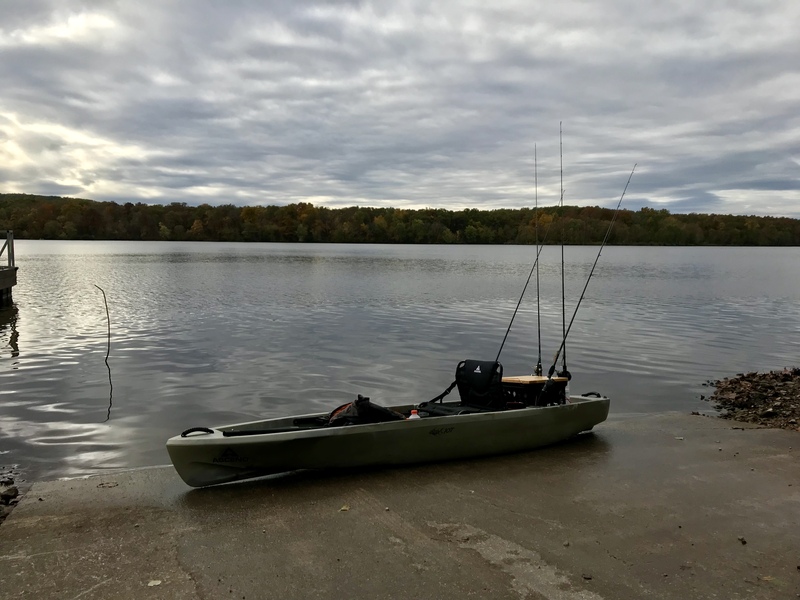 Hey all, I'm new to the forum so I'll preface this by saying that I fish solely from a kayak. I do not own a big boat so I am limited to my range, but am blessed in that I can go places where many big boats can't, and paddle where many big boats travel as well. I have never been to Stockton before, but I am interested in taking a trip out here soon and fishing for a couple days straight. My main question is that, from what I have been reading, Stockton is a pretty windy lake. Are there any areas of the lake that are fairly sheltered from the wind? I am mainly a bass fisherman as well if that is needed. Thank you all for any information.